Put simply a domain name is the address that people use to find you or your company online; it's what you type in the browser's address bar to go to a specific website. A domain name is a human-friendly address, sometimes called a URL (Uniform Resource Locator). The internet works on IP (Internet Protocol) addresses but these are just numbers, much like a telephone number. However, most people find it much easier to remember names rather than strings of numbers. Your domain name is unique to you. When someone types it into an Internet browser they'll be taken directly to your space on the Internet where they can view your website or files. For example, this website's domain name is: http://www.axiswebservices.co.uk (in today's browsers, it's not necessary to type the symbols http ://). What is a TLD and why is it important? Deciding what name to call your website can sometimes be difficult if you have exhausted the most obvious choices. 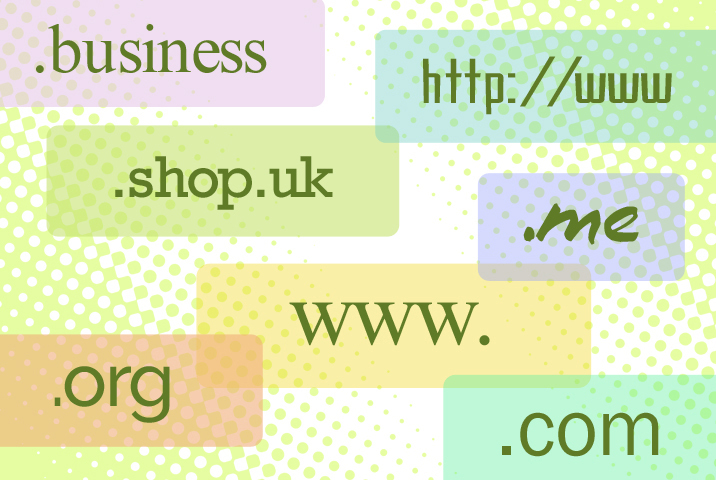 Domain names do not necessarily have to contain your business name or the fact that you are a limited company. At axisfirst we can help you choose the right name for your business. Try and choose a name that is easy to remember and describes your business. Short concise names are better than really long one's as the longer they are the harder they are to remember and the easier they are to mis-type. One of the best examples is B&Q, whose domain name is simply diy.com - it is easy to remember and it says what they do. It also avoids the pitfalls for companies with "and" in their name; is that bandq or b&q? Domain names with "&" in them are invalid but the average user may not realise that. If you hope that your website address will be passed on by word-of-mouth (or spoken word advertising) then unusual or quirky TLDs can work against you. People will remember your domain name but assume that it is .co.uk or .com. If you are the landlord of a pub is called The Frog then thefrog.pub may be a really good domain name but be aware that if someone hears a radio advert directing them to the website then chances are that when they try and go to the site, they will type thefrogpub.co.uk! If you are not ready for a website but want to make sure of your chosen domain name then you can "Park it" – register the domain name and have a simple holding page that gives your contact details.